THE B-MOVIE NEWS VAULT: Arrow Video's Limited Edition Blu-ray of BASKET CASE is the Definitive Release We've Been Waiting For! Arrow Video's Limited Edition Blu-ray of BASKET CASE is the Definitive Release We've Been Waiting For! 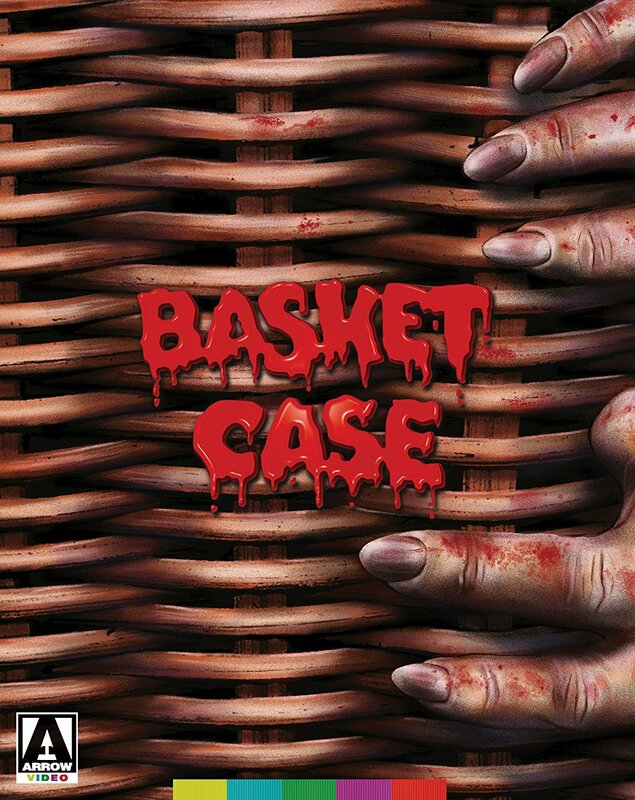 FANS OF FRANK HENENLOTTER'S TWISTED CLASSIC REJOICE: YOU WON'T HAVE TO BUY ANOTHER COPY OF "BASKET CASE" EVER AGAIN! Something Weird Video released a pretty solid Blu-ray of BASKET CASE back in 2011, and I think we all assumed that it was the best release the film would ever have. Seven years later, Arrow Video has come along and spoiled us rotten with an all new 4K transfer of BASKET CASE, and a slew of new extras! Synopsis: THE TENANT IN ROOM 7 IS VERY SMALL, VERY TWISTED, AND VERY MAD. The feature debut of director Frank Henenlotter (BRAIN DAMAGE, FRANKENHOOKER), 1982's BASKET CASE is perhaps his most revered - a riotous and blood-spattered midnight movie experience, now immortalized in a lavish new 4K restoration by the Museum of Modern Art (MoMA). Duane Bradley (Kevin Van Hentenryck) is a pretty ordinary guy. His formerly conjoined twin Belial, on the other hand, is a deformed, fleshy lump whom he carries around in a wicker basket. Arriving in the Big Apple and taking up a room at the seedy Hotel Broslin, the pair set about hunting down and butchering the surgeons responsible for their separation. But tensions flare up when Duane starts spending time with a pretty blonde secretary, and Belial's homicidal tendencies reach bloody new extremes. The current look on every BASKET CASE fans' face right now! NEW! 4K restoration from the original 16mm negative by MoMA! NEW! 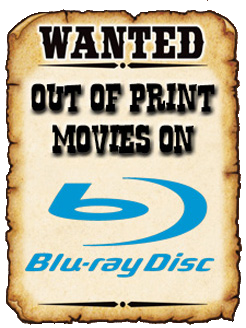 Audio commentary with writer/director Frank Henenlotter and star Kevin Van Hentenryck! NEW! 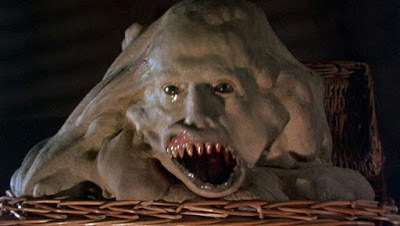 Basket Case 3-1/2: An Interview with Duane Bradley - Frank Henenlotter revisits Duane Bradley decades after the events of the original BASKET CASE! NEW! Seeing Double: The Basket Case Twins - a brand new interview with Florence and Maryellen Schultz, the twin nurses from BASKET CASE! NEW! Making-of featurette containing new interviews with producer Edgar Ievins, casting person/actress Ilze Balodis, associate producer/effects artist Ugis Nigals, and Belial performer Kika Nigals! NEW! Blood, BASKET and Beyond - An interview with actress Beverly Bonner! In Search of the Hotel Broslin - Archival location featurette. Slash of the Knife (1972) - short film by Frank Henenlotter. NEW! Belial's Dream (2017, 5 mins) - BASKET CASE-inspired animated short by filmmaker Robert Morgan! Trailers, TV Spots and Radio Spots. FIRST PRESSING ONLY: Collector's booklet with new writing on the film by Michael Gingold!